· Stainless steel with sanitary roll on 3 sides. · 10-1/2" high backsplash with pre-punched faucet holes. 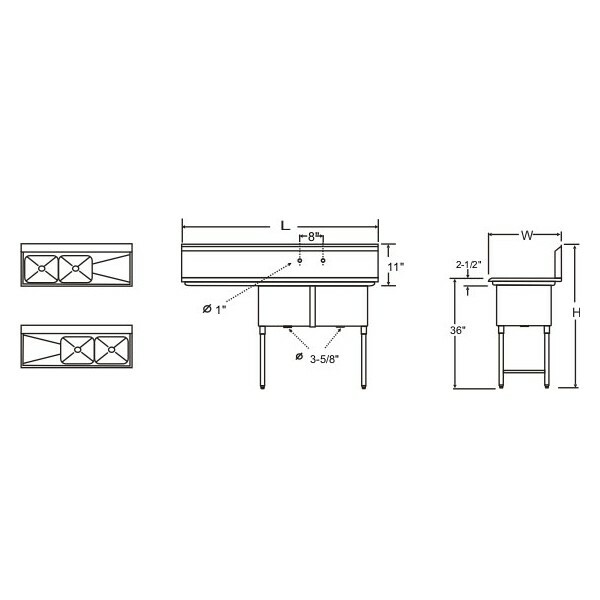 · Removable tubular stainless steel legs in 1-5/8" dia. with adjustable bullet type feet. 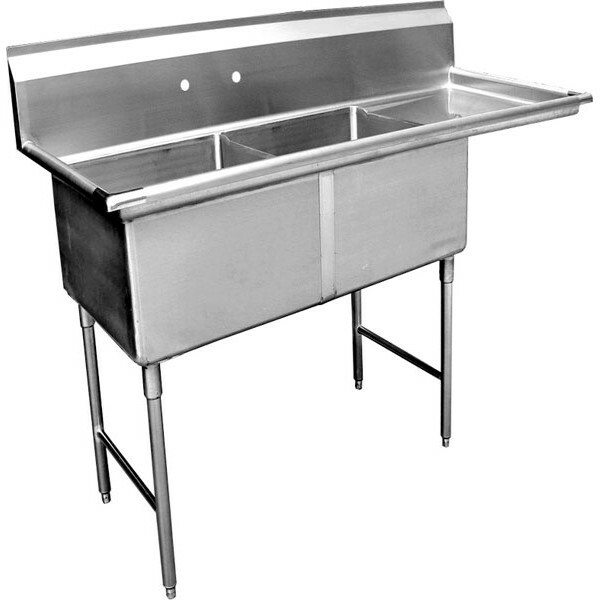 · Tub is made of one-piece seamless, stainless steel and is integrally welded to the top. · Basket Strainer fits 3-1/2" to 4" Sink Tub drain opening. · Faucet available as options.